Cable providers wanted to ease set-top box rules, but now the FCC is pushing a plan to open the market to new competition. The Fed­er­al Com­mu­nic­a­tions Com­mis­sion un­veiled a plan Wed­nes­day that aims to break the cable in­dustry’s strangle­hold on the mar­ket for set-top boxes, po­ten­tially pav­ing the way for a new gen­er­a­tion of devices that could al­low view­ers to eas­ily switch back and forth between TV chan­nels and on­line ser­vices like Net­flix. The pro­pos­al is a ma­jor blow to the cable and satel­lite TV in­dustry, which pulls in an es­tim­ated $20 bil­lion every year leas­ing out its boxes to con­sumers. And it is, at least in part, a self-in­flic­ted wound. The FCC’s pro­pos­al is a re­sponse to a law that the cable in­dustry fiercely lob­bied Con­gress to pass in 2014. At the time, the law seemed like a sig­ni­fic­ant vic­tory for the cable com­pan­ies and a de­feat for con­sumer ad­voc­ates. But the FCC’s an­nounce­ment Wed­nes­day flipped that out­come on its head. The five-mem­ber com­mis­sion plans to vote on the pro­pos­al next month, and will then have to re­view pub­lic com­ments be­fore ap­prov­ing any fi­nal rules. But FCC Chair­man Tom Wheel­er left little doubt about what dir­ec­tion he is head­ing. In 2014, law­makers were work­ing on what many con­sidered a “must-pass” reau­thor­iz­a­tion of a satel­lite TV law. Be­cause it was one of the few bills with any hope of passing a grid­locked Con­gress, vir­tu­ally every lob­by­ist with any con­nec­tion to the TV in­dustry tried to at­tach their pet is­sue to the le­gis­la­tion. But the Na­tion­al Cable and Tele­com­mu­nic­a­tions As­so­ci­ation, the lob­by­ing arm of Com­cast and oth­er big cable pro­viders, was the only group with any real suc­cess. 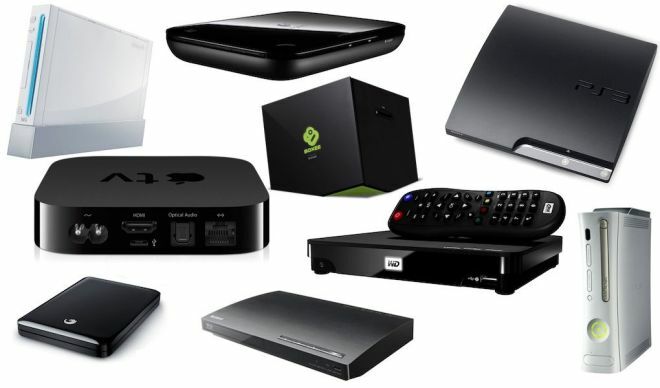 At the ur­ging of NCTA and oth­er cable groups, law­makers at­tached lan­guage to re­peal an FCC reg­u­la­tion that re­quired cable com­pan­ies to in­clude a “Cable­CARD” in their set-top boxes. The pur­pose of the Cable­CARD, a cred­it-card-sized device that de-scrambles TV chan­nels, was to cre­ate a com­pet­it­ive mar­ket for cable boxes. But the sys­tem was con­fus­ing and in­con­veni­ent, and some 99 per­cent of con­sumers con­tin­ued to pay an av­er­age of $231 every year to rent the boxes from their cable pro­vider. The cable in­dustry ar­gued the Cable­CARD re­quire­ment was un­ne­ces­sary, and law­makers in both parties largely agreed. But Sen. Ed­ward Mar­key, a Mas­sachu­setts Demo­crat, blocked the bill from reach­ing the Sen­ate floor in a last-ditch at­tempt to try to strip out the cable-box lan­guage. As a com­prom­ise to get Mar­key to back down, law­makers in­cluded a pro­vi­sion to in­struct the FCC to es­tab­lish a work­ing group to pro­duce a re­port on mak­ing the cable-box mar­ket more com­pet­it­ive. But the bill didn’t dir­ect the FCC to take any par­tic­u­lar ac­tion, and many be­lieved that the re­port would just gath­er dust at the FCC. When the Sen­ate passed the le­gis­la­tion in Novem­ber 2014, NCTA ap­plauded the law­makers for “achiev­ing bi­par­tis­an con­sensus” and de­cid­ing to “sun­set the FCC’s out­dated and ill-con­ceived” Cable­CARD re­quire­ment. The FCC’s work­ing group, made up of con­sumer ad­voc­ates, tech com­pan­ies, and cable com­pan­ies, pro­duced its re­port last Au­gust, but it wasn’t able to agree on any one set of re­com­mend­a­tions for set-top box rules. Rep­res­ent­at­ives from con­sumer groups like Pub­lic Know­ledge and tech com­pan­ies like Google and Amazon wanted the FCC to is­sue new reg­u­la­tions re­quir­ing cable com­pan­ies to make their video feeds ac­cess­ible to third parties, which could then cre­ate their own in­ter­faces and fea­tures. But the cable in­dustry ar­gued In­ter­net video is already thriv­ing, and that con­sumers can con­tin­ue to ac­cess on­line ser­vices and cable TV through apps on their devices. While the FCC wasn’t re­quired to do any­thing with the re­port, Wheel­er, who of­ten says his man­tra is “com­pet­i­tion, com­pet­i­tion, com­pet­i­tion,” largely took up the plan from the con­sumer groups and tech com­pan­ies.